All business and worksites need security and protection for their assets, staff and property. Controlled Access to certain areas on site for pedestrians and vehicles will help to prevent loss or damage and reduce risk of injury to personnel and visitors. 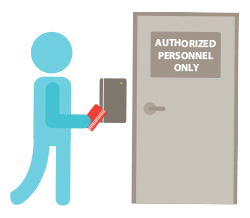 The ZoneSafe Personnel Access Control System restricts access through doors, turnstiles and gates using hands free RFID technology. The Vehicle Access Control uses the same RFID technology and provides hands free automated access for roller doors and barriers. These systems provides an efficient and cost effective method that helps to increase security for property and staff. 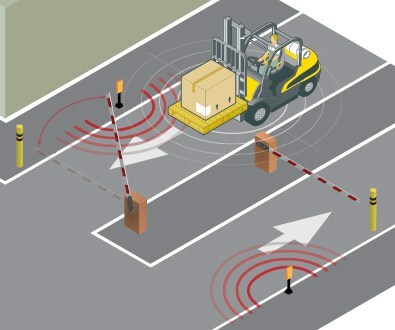 The vehicle is fitted with a ZoneSafe tag which is then detected by the ZoneSafe reader unit on the barrier once the vehicle enters the detection zone. The barrier is then raised to allow the vehicle access to the site and lowered once the vehicle has left the detection zone. The ZoneSafe reader unit is fitted to the door or turnstile and the ZoneSafe tag is worn by personnel. Once the person enters the detection zone the ZoneSafe unit will detect the person and the door will unlock.